Cheese is a flavor of enduring popularity, but using it means paying attention to both taste trends and processing issues. A good way to perk up the flavor of your product is to say cheese. And there are lots of ways to say it. When it comes to cheese flavoring for snacks, dips, sauces, soups and other foods, mainstays like cheddar still dominate. But there are an increasing number of alternatives like Parmesan, blue, Camembert, Emmental and Gruyere, as well as smoked cheeses of all kinds. Even old reliable cheddar has variations: white, smoked, pepper jack, mac & cheese flavor, grilled flavor and more. Flavors of one of the most prominent cheese-flavored snacks, Kellogg’s Cheez-It snack crackers, include Italian Four Cheese, Duo Parmesan and Sharp Cheddar, Jalapeno and Cheddar Jack, and White Cheddar. Non-mainstream cheese flavors can appeal to consumers with more sophisticated palates, says Roger Mullins, vice president of R&D and operations at First Choice Ingredients (firstchoiceingredients.com). The specific flavor notes that make cheese serve well as a flavoring include salt and umami. More particular flavor notes, associated with specific cheeses, also translate well to flavorings. The saltiness of Parmesan boosts other flavors while bringing out the cheese’s inherent nutty taste. Gouda and muenster lend a buttery note, while “stinky” cheeses like Gruyere or Limburger impart strong flavors. “Aged flavors work really nicely, as their complexity will come out in the final application,” Montgomery says. In Southeast Asia, a region where cheese is not a diet staple and it’s often perceived as an exotic foreign food, these flavor preference trends are reversed. “We find that [Southeast] Asia consumers require a sweeter cheese,” says Pete Pyeatt, director of product development at DairiConcepts LLP (www.dairiconcepts.com). Processors using cheese have to make the basic decision of what form to use it in: actual cheese or flavoring. Both have their advantages. Artificial cheese flavoring is almost always less expensive than real cheese used as an ingredient. Warren says processors who use Edlong’s cheese flavors can cut the amount of real cheese in their products by 15-50 percent while retaining full cheese flavors. Mullins of First Choice says the reduction of real cheese can go as much as tenfold. Reducing real cheese from a formulation can confer benefits beyond cost. Flavorings tend to be more consistent and easier to work with than real cheese. “The flavor of the commodity cheese can drift throughout the year,” Mullins says. “Cheese flavors help provide uniformity to the finished product.” He mentions a customer who had a product with a high amount of cheese in the formulation, which would become stuck on the equipment, leading to an inordinate amount of cleaning time. When the formula was tweaked to reduce the cheese by adding cheese flavor, cleaning became easier. Cheese flavorings have other advantages. Using them often makes it easier to tweak a formulation’s flavor notes. This can be especially important with salt and fat; flavorings can add the right flavor and mouthfeel without actually increasing sodium and fat levels, making for a more appealing Nutrition Facts panel. Flavorings also can make it easier to combine and layer flavors, or to build replacements for the flavors of a cheese that might be unavailable or too expensive. Flavorings often have a longer shelf life than pure cheese ingredients. They also avoid the supply problems that can crop up with some of the most exotic, hard-to-source cheeses, especially ones that require years of aging. On the other hand, using pure cheese in a formulation has certain advantages, too. A big one is that you get to talk about it. Cheez-It cartons bear a badge on the front panel reading “Made With 100% Real Cheese.” Other major processors with snacks that emphasize real cheese on their packaging include Frito-Lay (Stacy’s), Hillshire Farm (Van’s Natural Foods), Utz Foods (Snikiddy, as well as Utz-branded products like White Cheddar Cheeseballs) and Post Holdings (Barbara’s Bakery). Real cheese is almost expected for a high-end snack or other product. Massoud Kazemzadeh, president of snack processor Kay’s Naturals (shop.kaysnaturals.com), acknowledges that “the pricing is extremely high” for the real cheese used in his company’s Protein Puffs, but says it’s needed, given the niche his products fill. Many processors balance the advantages of commodity cheese and flavorings by using them in tandem. “By identifying the right combination of commodity cheese and cheese flavor for a specific application, processors can maximize flavor impact while minimizing loss and improving consistency during and after cooking,” says Edlong’s Warren. Using flavorings together with real cheese gives processors more leeway on what kind of real cheese to use. For example, aged cheese often lends a desired flavor note to a product — but it presents potential problems of being harder to process, or the supply being unreliable. By adding the right flavoring, “a food processor will be able to use younger cheese, which is mild in flavor [but] provides the best [functionality], and then a small amount of concentrated dairy flavor to get the correct dairy profile,” says Riesterer of First Choice Ingredients. Cheese ranks with bacon and chocolate among flavors that probably will never lose their popularity. 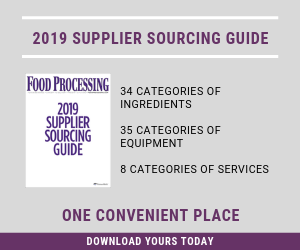 Processors who take advantage of the versatility of both cheese and cheese-based flavoring will find themselves in the best position to tap into that popularity.